Fired US comic weeps: 'Trump broke me' Jump to media player Comedian Kathy Griffin fears her career is over after she posed for a controversial photo. How to succeed as a stand-up comedian Jump to media player With comedy clubs booming across the US, comedian Steve Byrne tells the BBC's Jane O'Brien what you have to do to succeed in the competitive industry. Big Yin voted most influential comedian Jump to media player Billy Connolly is voted the most influential British comedian of all time. 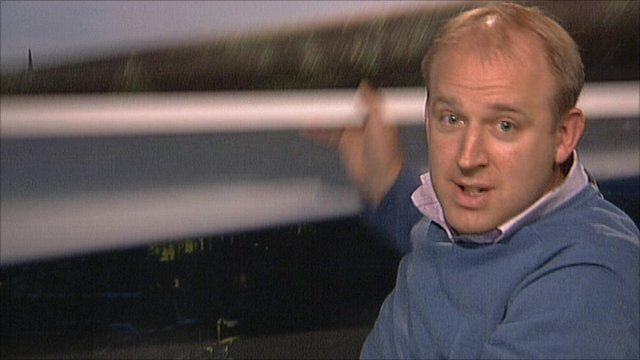 Fringe funnyman 'exposes' BBC backdrop Jump to media player Comedian Tim Vine revealed the backdrop of the BBC's Edinburgh studio live on air, while appearing on the BBC's News Channel. US comedian Kathy Griffin has tearfully said she fears her career is over after CNN fired her for posing in a photo with a prop meant to resemble the severed head of President Donald Trump.